Messaging apps have gotten a whole new level of popularity throughout the years. To keep that popularity, they kept adding new features from time to time so users would continue using their platform. That is what Viber did with Viber Communities – a feature that offers a chat space where up to 1 billion members will be able to exchange messages and engage with one another. Not only you got a chance to interact with an unlimited number of members, but you can also enjoy more admin controls and play around with new conversation features. So, communities are next-level group chats, that enable different people to share content around a specific topic they are passionate for. Some of the examples are communities of celebrities, sports clubs, music events, cooking and other. That’s why Viber is a great tool for business. Viber is no longer accepting applications for Public Accounts because they have launched Viber Communities. Public Accounts was account made for businesses and brands who wanted to communicate with Viber users for marketing, customer service — or a bit of both, without a user needing to add that account as a contact first. What’s more, businesses had the unique ability to create custom experiences for their customers through the private messaging feature. Unlimited members – the only limit is the number of people on the app. New members can be added to public communities by tapping on a link. All new members of the group will see the entire group chat history when they join. Group admins can pin a message at the top of the chat. Communities can create a collection of favorite media sent in the chat. Pinned messages at the top of the chat. Direct replies to a message in the chat. Mention another member of the Community to bring them into the conversation. The owner of a community. They help Super admins manage the community and its members. You became a member if you are a community participant but not an admin or super admin; one of the benefits is that their phone number is not visible to other members. Send and reply to any type of message with text, a GIF, stickers, video message, etc. Viber Communities is Viber’s most advanced feature for managing large groups in the messaging world. Viber is the only messaging app to offer unlimited member chat groups. Visibility – Unlike Public Chats who were placed in a dedicated tab, all Communities are accessible from the main chat list – just like any other chat, and next to users’ private conversations. This means your content will get more visibility and more engagement. Multiple admin roles – Viber Communities have multiple administration roles, to power up your ability to run focused and streamlined conversations. Open chat – You can decide if your Community is open for all members to message and take part in the conversation. Insights & analytics – Access data about your Community right from your Community info screen. Discoverability – Communities can be searched directly from the Search bar in the main chat list (by adding “@” to the beginning of the query). 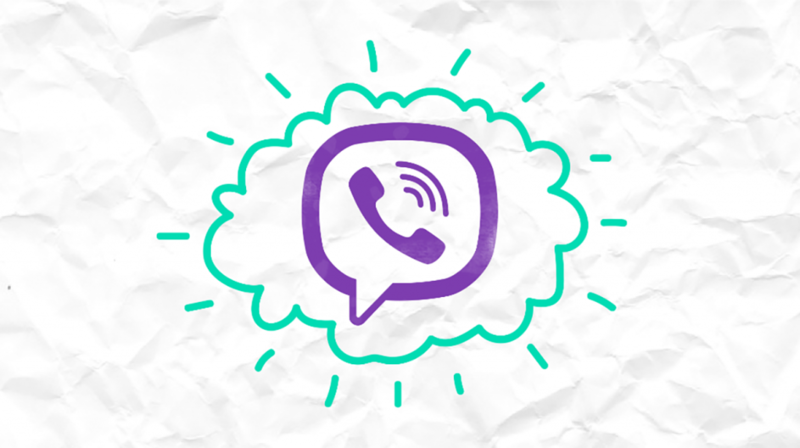 Member to Member messaging (coming soon) – A Viber Community allows members to engage with others through safe and secure messaging while keeping their phone numbers hidden. Members will not be able to message admins or super admins directly. Notifications – Viber Communities members can decide the notifications frequency they receive from a specific Community. This novelty gives everyone access to communication so they can real-time find out what other people think about a particular topic. Answers are individual to a group or community, and options are endless. Adding a poll is a great way to engage audiences in a way that contributes to the discussion – by enabling democratic elections and encouraging more people to engage in different topics and to do it as often as possible. 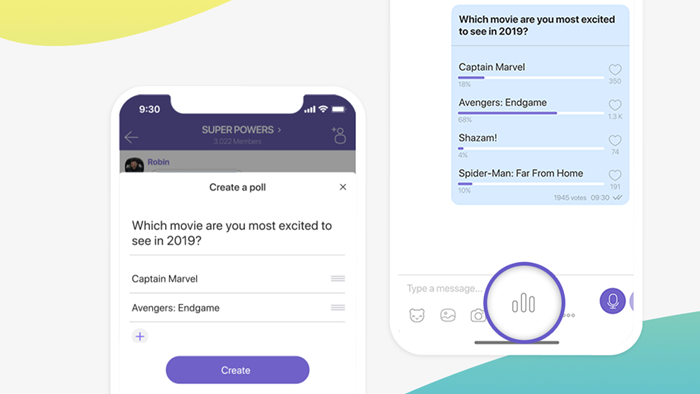 Polls have raised one of the highest levels of engagement in Viber Communities so far and have provided valuable insights to the company to respond to the needs and preferences of its public. Also, it has shown that Viber users are open to meeting new people in different communities and would like their applications to be more surprised. Let’s take a look at what sort of returns you can expect from influencer marketing. How to Make Your Chatbot More Human? Here is all you didn’t know about chatbots from their development in 1966 until today. Learn about digital dementia and effective ways to deal with it.